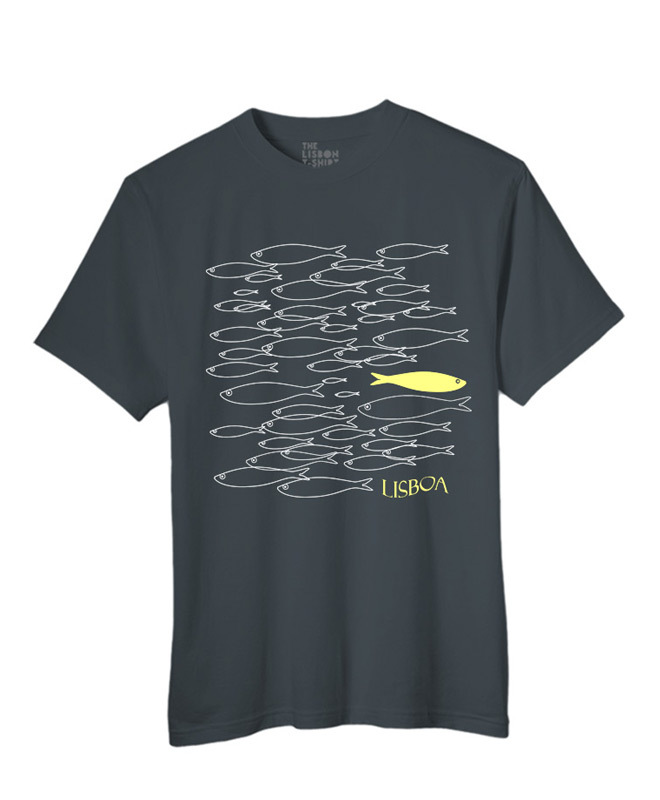 Premium cotton t-shirt with a shoal of sardines available in khaki, royal blue, red and dark grey and white with text Lisboa. The sardines are traditionally silver but this shoal has a yellow one. This beautiful cotton T-shirt with a yellow sardine is an original by Portuguese artist Luís Val. 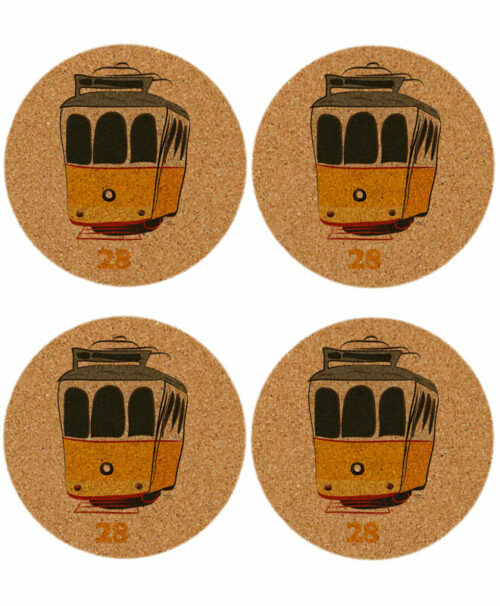 Is available in khaki, royal blue, red and dark grey and white with text Lisboa.